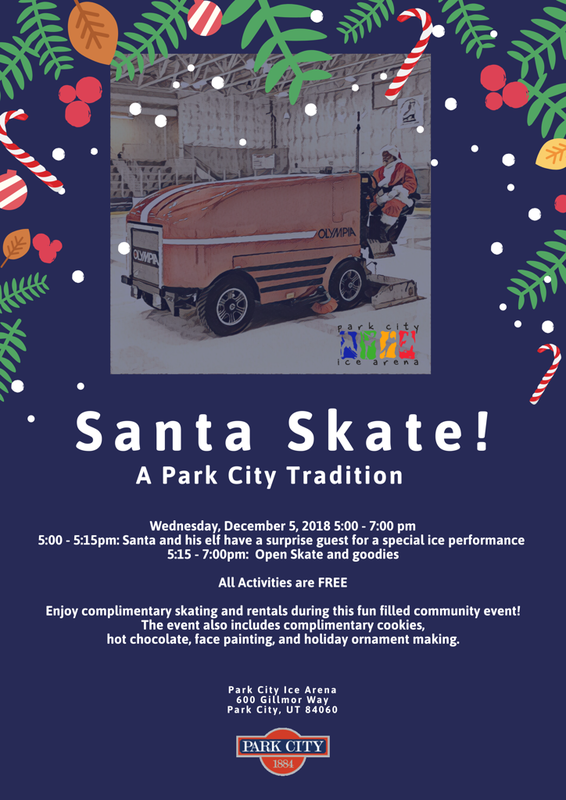 Skating Academy Participants can "BE A STAR" in our Holiday show! 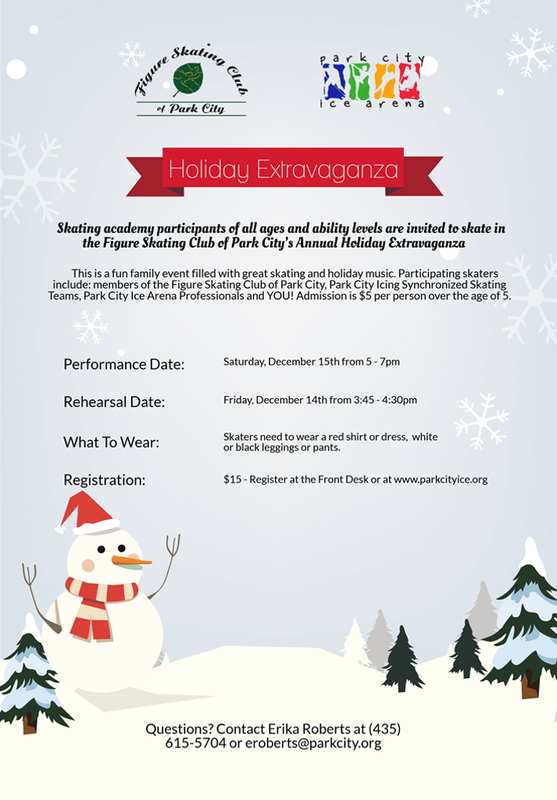 Join us for a rehearsal on Friday, December 14th from 3:45-4:30pm to star in our Skating Academy number in the FSCPC's holiday show on Saturday, December 15th from 5-7pm. Fun for the whole family! Tickets are $5 in advance on Eventbrite or at the door. Ages 5 and under are free. Skaters at least 4 years of age and of all levels are welcome as long as they have taken group skating classes, private lessons or skate regularly on their own and can skate comfortably without assistance. This camp has a recreational focus. Fees: $35, the price increases to $40 two weeks prior to camp. 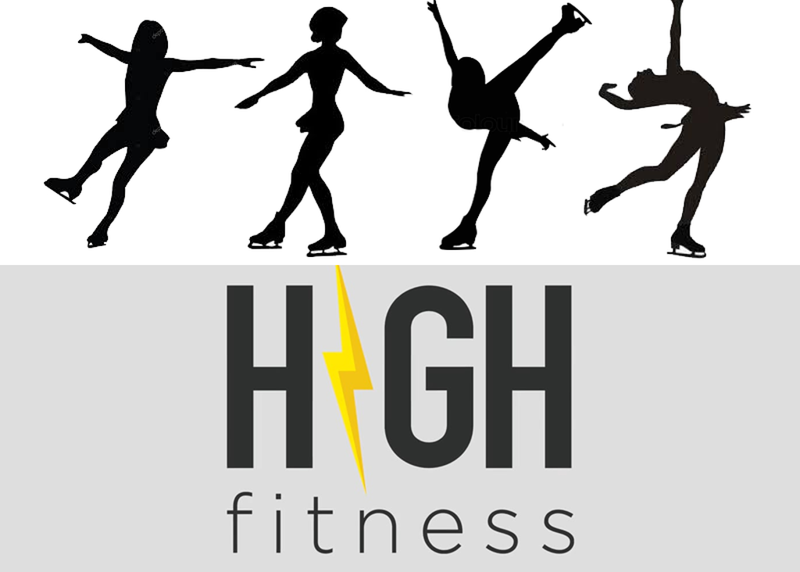 This Figure skating clinic will focus on drills and exercises to improve spin and jump technique. 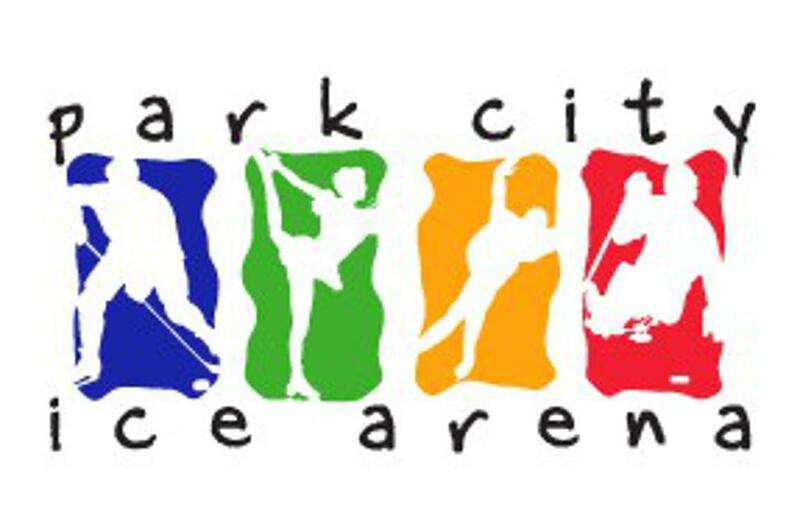 Off ice will be taught by Park City High Fitness. Minimum level Free Skate 1. 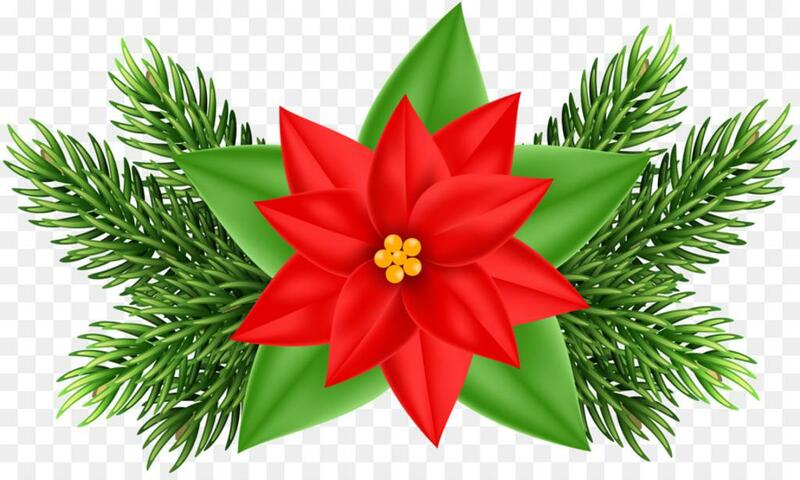 Many Volunteer opportunities for the holiday show available! Purchase holiday show tickets in advanced - Reserved seating! Junior Board to host consignment dress swap! Are you looking to buy a dress for your skater for the Holiday Show or for their next competition? 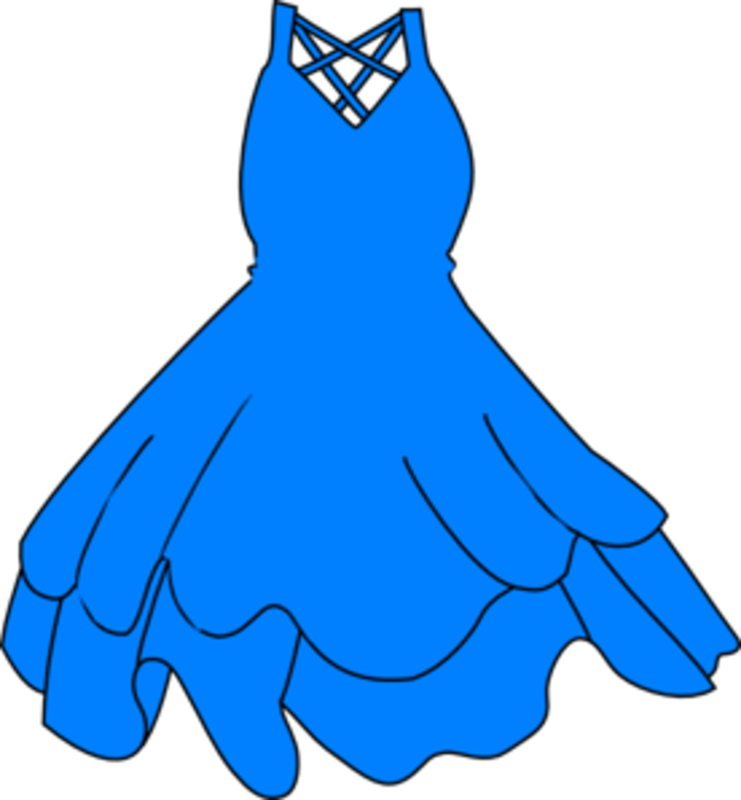 If so, there will be a Dress Consignment hosted by the Junior Board on Saturday, December 1st from 9AM-12PM. The Junior Board will mark up the requested prices by $5 (consignment fee). If the item is donated then 100% of the item's cost goes toward club activities. If you have any questions, please contact Sophia Domonoske, Junior Board President - sophia.w.domonoske@gmail.com. 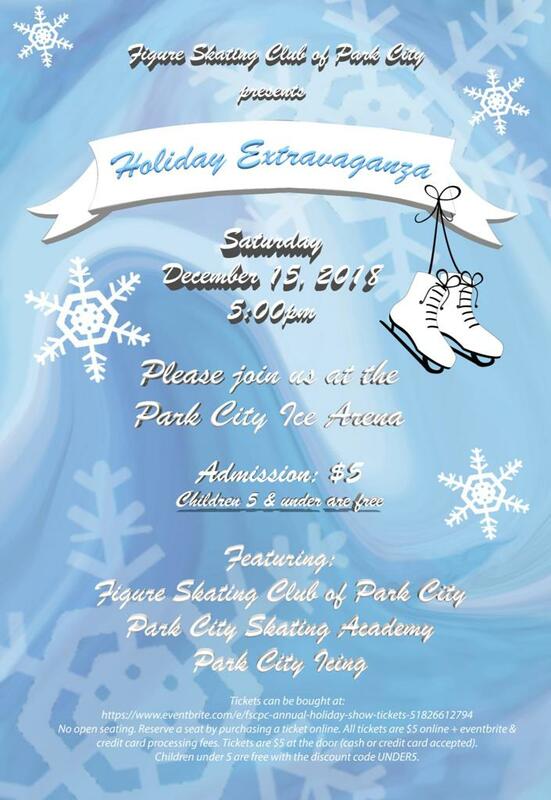 If you sold poinsettias and wreaths for our club fundraiser, please pick up your orders at Park City Ice Arena at 1pm. 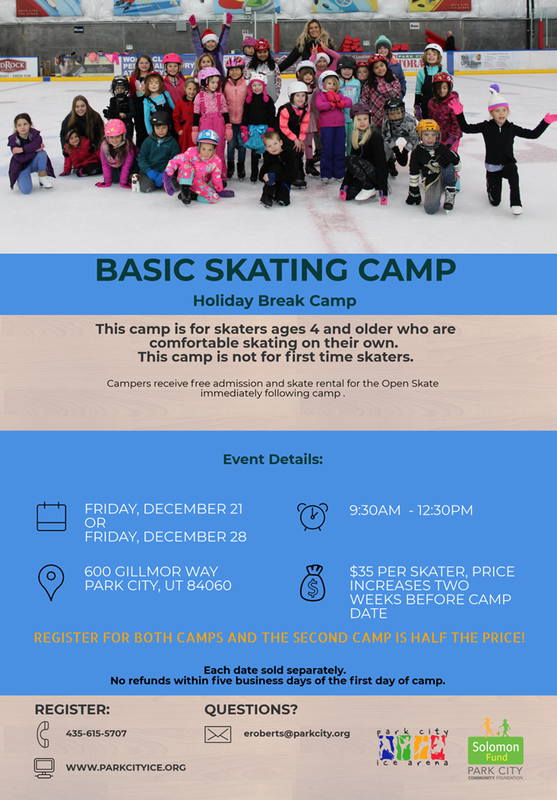 Contact Taylor Knight at 801-404-9911 with questions. We are so very proud of our athletes who qualified for and competed at the 2019 Pacific Coast Sectionals! Congratulations as well to our committed and dedicated coaching team. 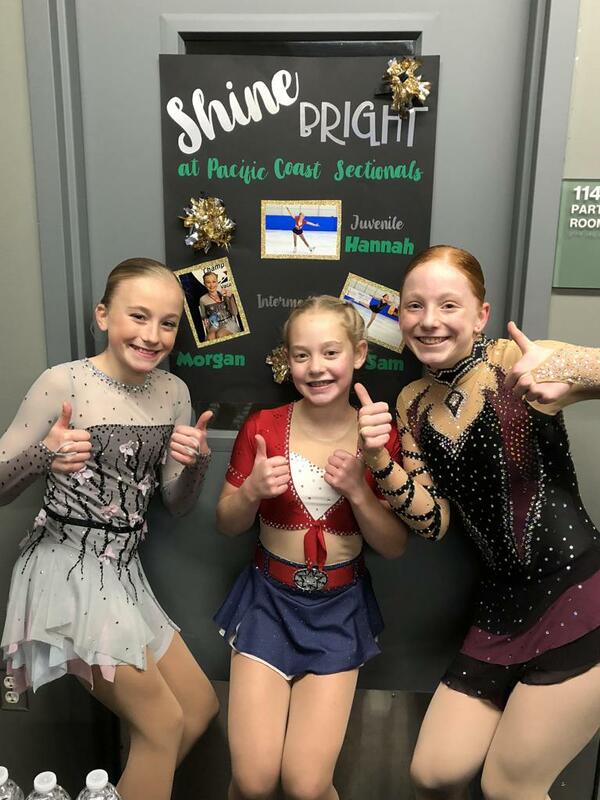 We wish Morgan the best of luck at the 2019 U.S. National Championships in Detroit in January! We are so excited! Morgan Heavrin heads to Nationals!! We wish Morgan the best of luck as she heads to Detroit in January for the US National Championships! We will let you know when her send-off will be once we know! Congratulations to Autumn Boyd for passing Pre-Juvenile moves and to Sarah Reichel for passing Adult Bronze Moves. Mark your calendars for the 2019 Intermountain Classic! 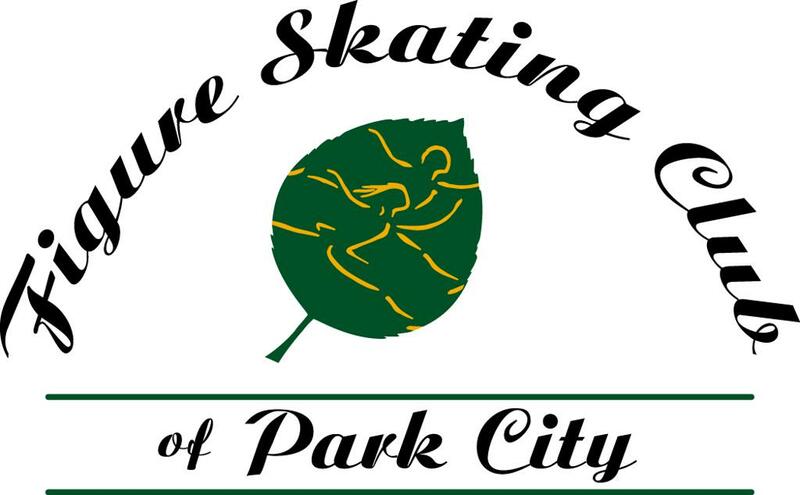 Get your programs ready and talk to your coaches about what events you will compete as FSCPC is hosting the 2019 Intermountain Classic Figure Skating Championships March 7-10, 2019. We will also be hosting a USFS test session on Thursday, March 7th. We will need A LOT of volunteers to host an event of this magnitude. Please welcome our new Coach, Sarah Lyle! 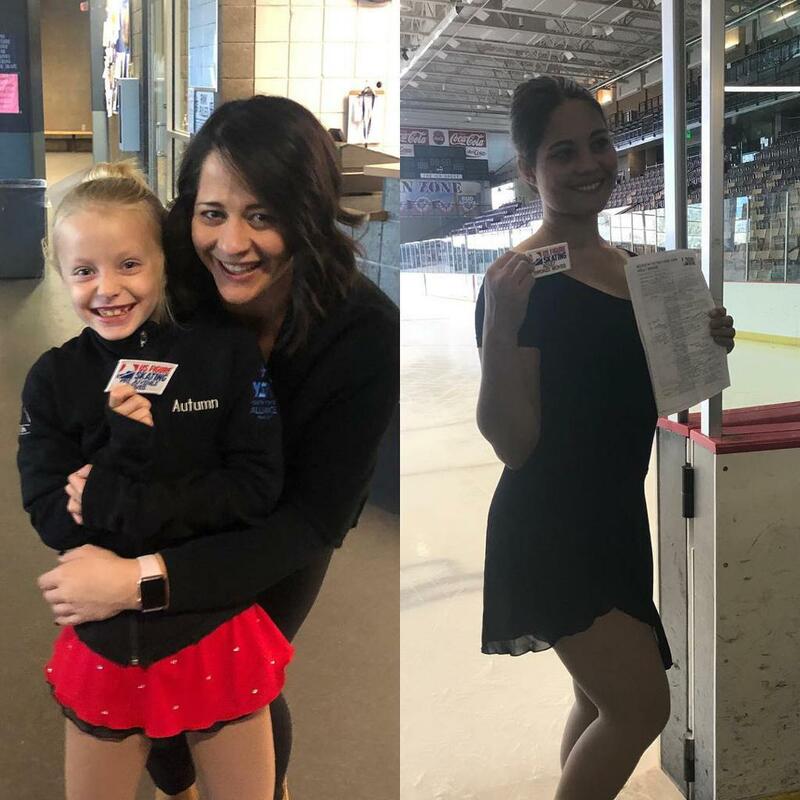 We are excited to welcome coach, Sarah Lyle to our FSCPC and Park City Ice Arena coaching family. Sarah brings with her a wealth of figure skating knowledge and experience. She is very excited to be part of our amazing team. 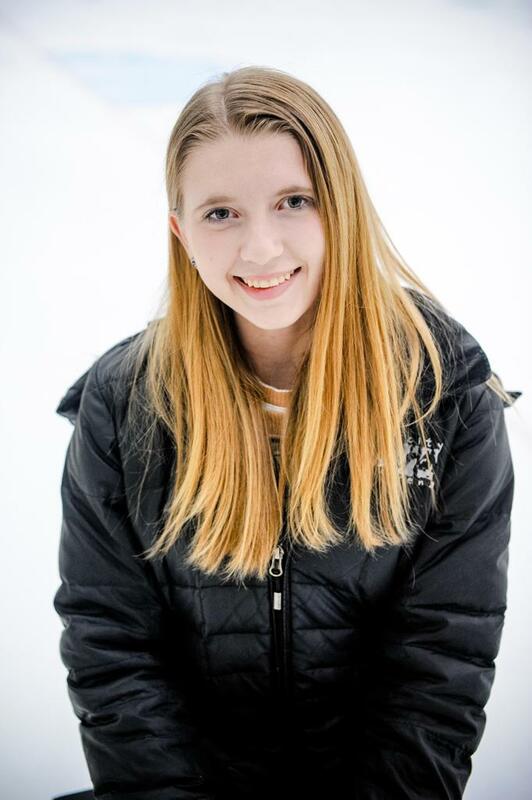 Sarah will be teaching Skating Academy, pre-school and Get Out and Play programs as well as camps and clinics. She is available as a primary or secondary coach. Please say hello and welcome her if you see Sarah around the rink. Countdown to the spring show! Holiday shopping for your skater made easy! Check out Squad Locker for all your FSCPC logo wear for the perfect holiday gift! Reminder: There is NO club ice on Wednesday, December 5th! 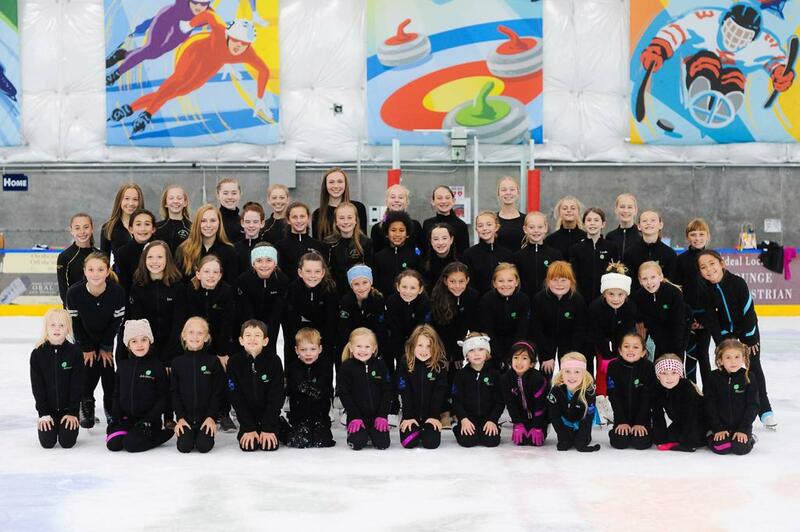 ©2019 Figure Skating Club of Park City / SportsEngine. All Rights Reserved.